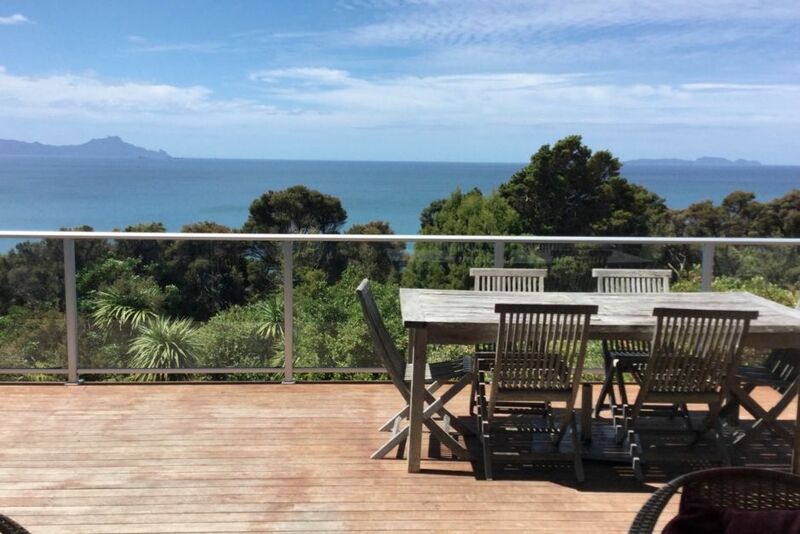 3 bedroom, 2 bathroom holiday home with spectacular ocean views and you can walk to Ding Bay in 5 minutes or Langs Beach in less than 10. The house has a large sunny deck and a separate BBQ area. The entrance is fenced from the road and there is a large lawn area for kids to play on. We have a huge garden and you can walk through a private bush track at the bottom of the garden to rocks below. The Mangawhai golf course is nearby and surfers can catch a wave at Waipu Cove. Waipu Cove has a restaurant, fish and chips and a dairy. There is a beautiful coastal walk between Waipu Cove and Langs Beach, accessible from our back garden. Waipu is a pretty little town, remaining true to its Scottish Heritage, quaint shops and restaurants including the famous Pizza barn! We have recently bought new beds for the single room (2 single bunks and a king single with pull out). There is a portacot available for use. Please leave our house clean and tidy at the end of your stay. The per night rate does not include a cleaner after you. We prefer you to bring you own linen (sheets and towels etc) but if you would like to use our linen please strip beds and wash, dry and put away your linen when you leave. No smoking. Guests must ask permission to pitch tents. The view is magnificent and the weather great. Fantastic views with everything we needed. Fantastic views and great garden. The house had everything we needed and we really enjoyed our stay. Well equipped and comfortable. Short walk to the beach - great spot! Very tidy Bach with fantastic views.